300,000 in Finland quit Facebook this year. 300,000 in Finland quit Facebook this year, expert tells paper. A social media expert told Helsingin Sanomat he noticed there were about 300,000 fewer users from Finland on the social network than there were last year. File photo. Image: Dinendra Haria / AOP. Entrepreneur, social media educator and blogger Harto Pönkä told the newspaper Helsingin Sanomat that after the scandal surrounding Facebook’s dealings with Cambridge Analytica last spring, he expected some people in Finland would quit the nearly-ubiquitous social media platform. After examining Facebook advertisement data recently he found that quite a few users in Finland actually had left the platform - a total of some 300,000 people. He said largest demographic that ended their relationship with the US firm were aged between 30-40, with nearly 100,000 users in that age bracket having quit Facebook. Around 55,000 people in Finland aged 13-29 and 40-49 have also apparently left the service, he said. However, fewer people over the age of 50 had abandoned than other age groups, Pönkä pointed out. Notably, he said that there was not an increase in new Facebook users from Finland, regardless of their age. Facebook's stock value plunged in the aftermath, but the loss of a few hundred thousand users is a mere drop in the firm's vast bucket, as the site still boasts around two billion regular users around the world. According to a survey carried out by Finnish mobile operator DNA earlier this year, most people who closed their Facebook accounts said they did it because of security issues. 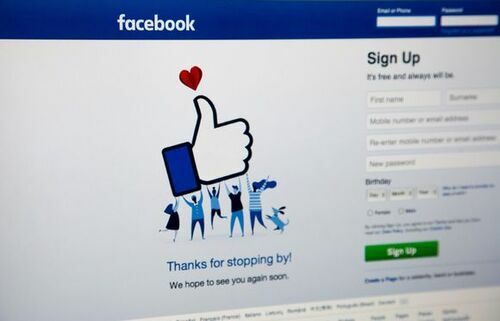 Some seven percent of the former Facebook user said they quit the social media platform due to the company’s widely-reported leak of users’ data. Another 11 percent said at the time that they were still considering whether to quit Facebook in the aftermath of the data leak. More commonly however, people said they quit the social media giant to give themselves more personal time, saying that the service consumes a surprising amount of their day and that the experience was become increasingly antisocial. Assistant professor in new media at the University of Toronto, Tero Karppi - who’s studied social media for the past decade - also spoke with Helsingin Sanomat. The Finnish academic said people often find it difficult to quit Facebook and other social media platforms due to a fear of missing out. According to 2017 data from the Federation of Finnish Enterprises, there were some 2.5 million Facebook users in Finland, a country with a population of roughly 5.5 million. That figure, by far, exceeded the number of users on other social media platforms, making it the most popular in the country. However, it is currently unclear whether Facebook is still at the top of the highly-competitive social media industry, at least in Finland. WhatsApp, the smartphone-based chatting and small-scale social media app (which is also a Facebook property) had some two million users in Finland last year, and some experts think that number has risen since then. The third and fourth most popular social media platforms in Finland in 2017 were YouTube (owned by Alphabet, the firm that owns Google) with 1.1 million users and Instagram (yet another Facebook property) with one million users. Snapchat had half a million users in Finland while Twitter had some 400,000 last year.